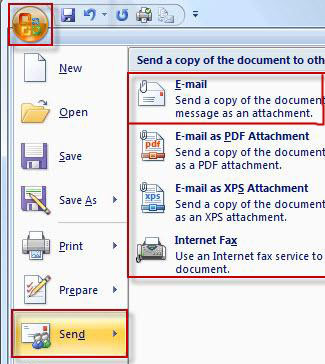 I’ve a friend using Ms Excel 2007 looking for way to change his default mail client from Outlook to Thunderbird. This is because he is using the File -> Send -> Email function and every time he click on Email, outlook will be prompt out. He would like to have the document to be sent thru Thunderbird.